Are you a math freak? And numbers excite you and want to learn everything about mathematics in details? But, not coming across a legit teacher who can teach you efficiently; then we have brought to you the best mathematical YouTube channels that you can follow to learn mathematics quite easily without burning a hole in your pocket. Khan Academy is one of the most reputed youtube channels for maths. The channel promises “providing high-quality education for everyone and anyone.” And, they quite live up to the expectation. Apart from mathematics, you can also learn biology, social science, physics and chemistry to name a few. Moreover, if you are weak in trigonometric, then you should follow this channel since the videos are quite easy to understand. 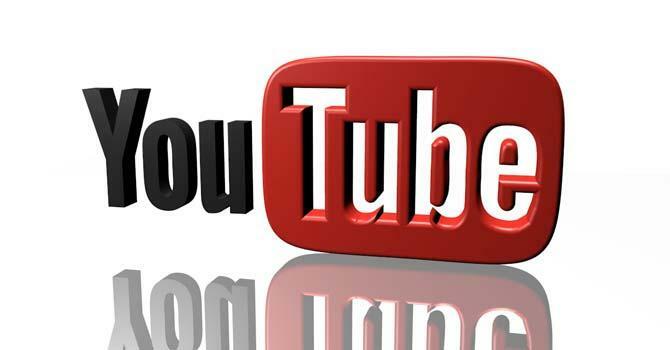 Youtube teachers are created by experienced teachers in the field of mathematics. There are around 700,000 videos comprising every subject be it mathematics, physics, chemistry etc. The video clips encompass various mathematical concepts such as cardinality, geometry, quadrant, linear inequalities and polynomial functions to name a few. Ted-Ed is an online mathematical library in which experienced teachers have recorded small duration videos that show various tricks and tips to solve mathematical problems. The channel has more than 17 million views. If you want to learn mathematics while having fun and laughs, then subscribe to this channel. The channel has been created by Brady Haran and his team of fellow mathematicians. The videos have been recorded in colorful graphics with animated objects which reflect various mathematical problems. Hence, if you want to learn about PI, Graham problems, Rubik’s Cube and Yahtzee etc. The channel has been designed in such a way that students can learn math in a sweat-free way. Math Tv is a collection of videos of several mathematical experts who have been the experience of teaching mathematics of around decades. There are around 120 videos of various difficult mathematical concepts. They have tried to simplify the complex mathematical problems so that a person can grasp the concept easily. So, if you are getting problems in various difficult mathematical problems then visit this channel. Math Mammoth is also a great youtube mathematical channel. The channel has already gained more 1.5 million views and it’s still increasing. The videos have been prepared from extracting data from Mammoth math books. Hence, if you are having issues in trigonometric, Fibonacci series and other mathematical concepts, then visit this channel. Ten marks is another useful mathematical channel which helps the student to grasp the various complex mathematical concept in sweat-free approach. There is an ample number of videos to make students learn various mathematical concepts. The channel has prepared videos offering hints and tricks to easily solve the hard equations. Patrick math videos is also another great youtube channel to learn mathematics. The channel has thousand of mathematical videos to guide students how to learn mathematics. All concepts have been taught in such a way so that students can easily grasp various concepts. Techmath youtube channel is also dedicated to math. The channel has been gaining a large number of subscribers due to its fantastic videos which are easy to grasp. NEXT POST Next post: How to Prepare for SSC CGL Exam in One Month?